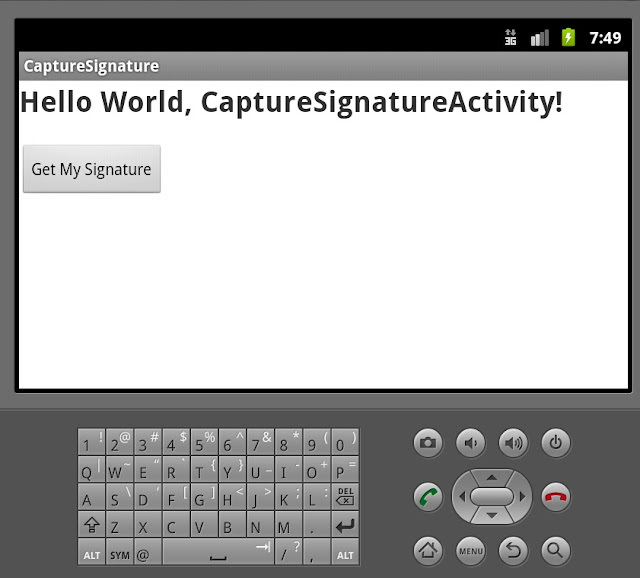 Signature capture has a lot of uses in enterprise applications such as proof of delivery, inspection forms, sales order agreement, etc. 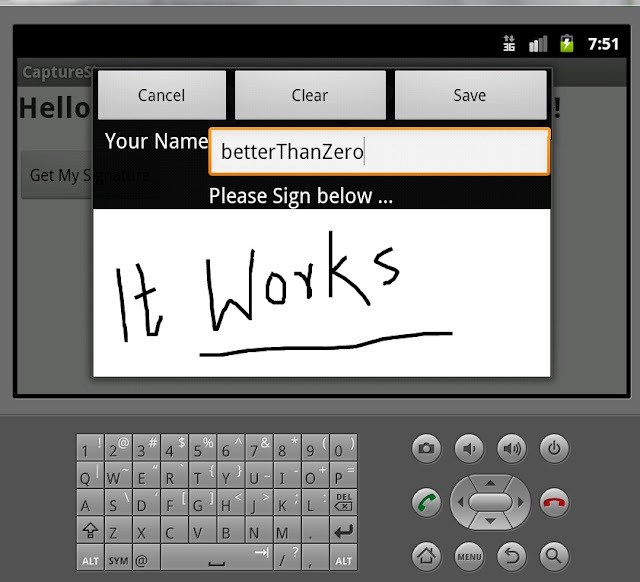 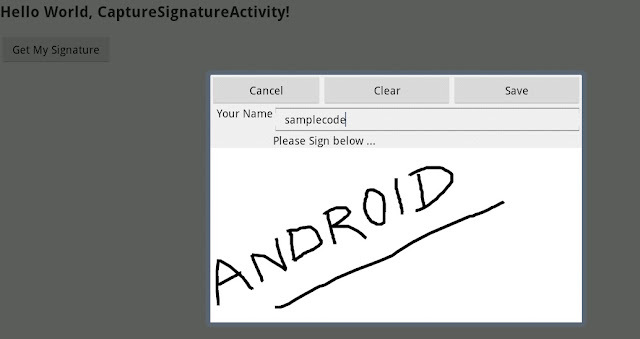 Here is sample program that asks for the name of the person and its signature. 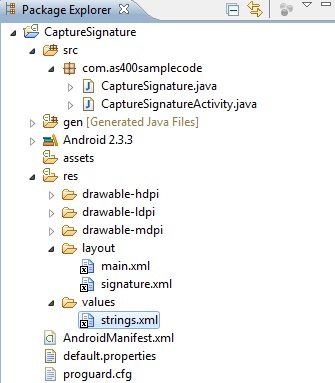 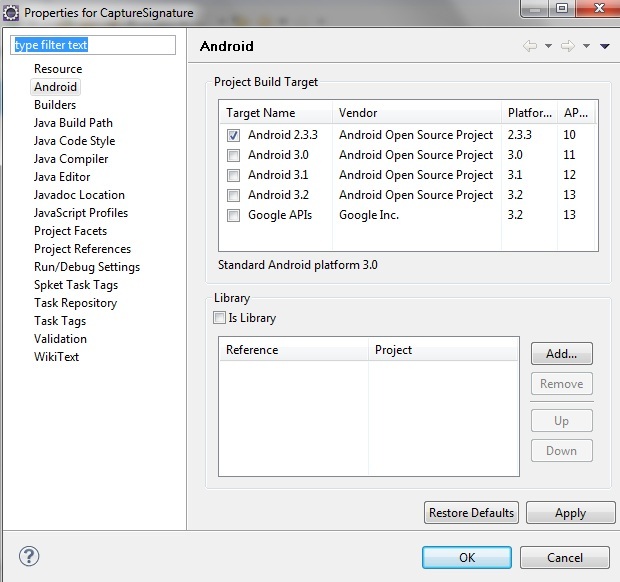 The program uses a canvas view to get the signature and then save it as .png Image. <Button android:text="Get My Signature" android:id="@+id/signature"
android:text="Please Sign below ..." android:maxLength="30"
2) CaptureSignature manifest file Androidmanifest.xml with version and Theme changes as Holo theme is not available in API level 10.